The modern purpose built hall stands in an acre of grassland with ample car parking. 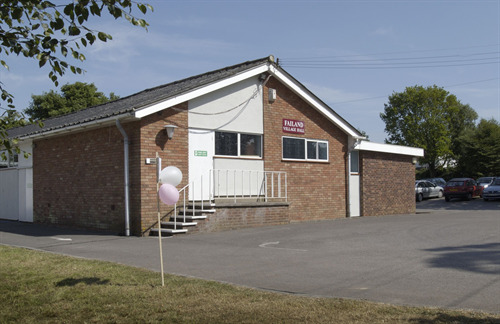 A popular venue for local club and society meetings, the hall is available for private hire. Functions, Wedding Receptions, and Dinner Dances are popular bookings. The tastefully decorated hall is fully licensed with a well-stocked bar. A stage has adjoining dressing rooms, also available for committee meetings. Capacities are 160 for dancing and informal events or 150 for seated dining. The spacious kitchen has been designed to cater for large or small events, with a good sized serving hatch opening to the main hall. Booking forms are available at Failand Post Office. Directions: On the B3128 main Bristol to Clevedon road, opposite Failand Post Office, the hall entrance is a few metres down Oxhouse Lane on the right.